With Ribbex’s standard CCTV camera surveying service, we inspect up to 225mm diameter pipes. Pipes above 225mm can be inspected and are priced upon request. The service includes a full written report, colour computerized drainage site plan and video recording (if requested). With the use of CCTV camera inspections and continued equipment development, this has allowed Ribbex to carry out blockage investigations in even the smallest piping systems, manholes and some of London’s oldest drainage systems. 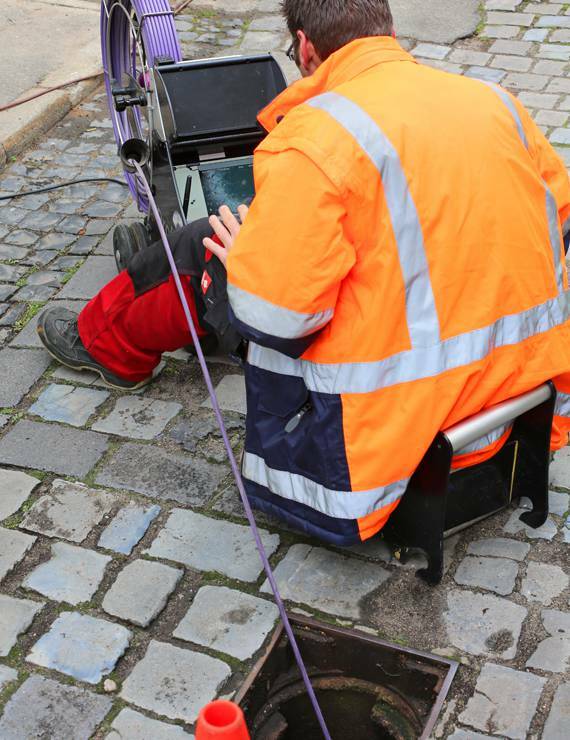 With the footage and data received, we can accurately calculate the cost and time it will take to rectify the problem and help customers to make arrangements to let us implement new drains or relining where necessary. In the majority of cases, ‘patch linings’ can be inserted into the existing drainage systems, negating the need for more costly excavation work.